A 56-year-old woman has become the oldest mother of twins in the UK, after receiving fertility treatment. Lynn Bezant, from Croughton in Northamptonshire, gave birth to the boy and girl by Caesarean section on Thursday. 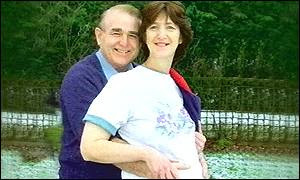 The fertility expert who treated her has defended his decision, saying he was delighted by news of the birth to a kind and loving couple. The non-identical twins, called David and Susan, were born by Caesarean section at 36 weeks into the pregnancy at the Horton General Hospital in Banbury, Oxon. Originally posted on May 26, 2001.